During his visit to the Rotary Club of Royal Hua Hin last week, the District Governor Lt Gen Kanit Jamjuntra recognised the club’s 100% membership contribution to ‘Every Rotarian Every Year’ (EREY). The contribution of at least $100 per member goes directly to help support the RI Foundation and the annual fund makes it possible for Rotary clubs to transform lives worldwide. Members generous support funds local and international projects that advance The Rotary Foundation’s mission. All contributions to the international fund are spent on quality international Rotary projects. DG Kanit awarded EREY 100% lapel badge for all members of the RCRHH. Please speak to P Brian to receive your badge. 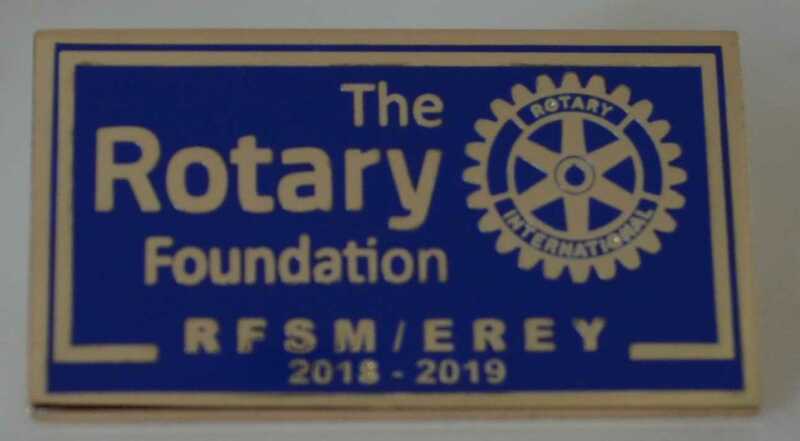 CLICK HERE to read about the Rotary Foundation.